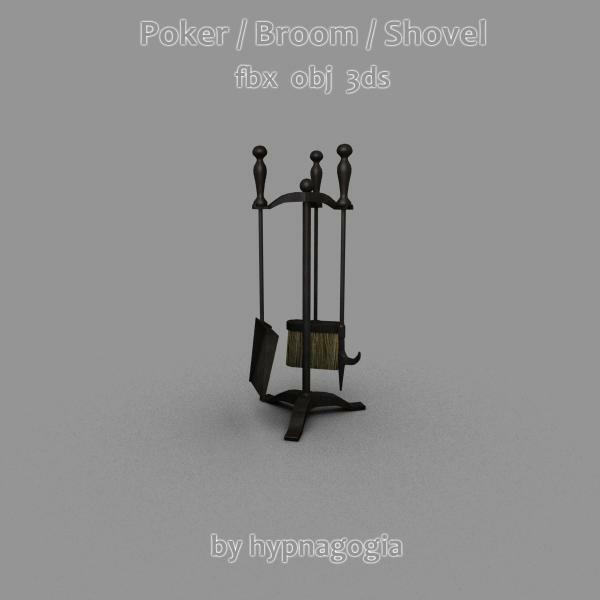 Poker/Broom/Shovel & Stand to put with fireplace. Includes fbx, obj, 3ds & jpeg textures. Consists of 4 objects. Thanks & Enjoy! These fireplace accessories are wonderful. You are the BEST!! Thank you! Thank you Magdalene you are welcome :) I enjoy sharing my work whenever I can... I'm happy it is appreciated.